I should have written this blog years ago! We have all experienced twitchy legs at some point in our life. It may have been after a long flight, or being on your feet all day, or an actual medical condition and medication affecting the physiology of your blood resulting in restless leg syndrome. Twitchy legs are uncomfortable and irritating. Now I can not diagnose your reason for twitchy restless legs via this blog, it is unprofessional and unsafe. You are welcome to speak to me about it, or your GP. If this has started after you started taking prescription medication, it may be worth speaking with your pharmacist also. I started feeling this phenomenon during my first pregnancy. 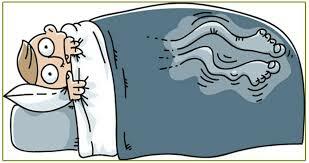 Achy, fidgety, twitchy, restless legs that just won’t let you get comfortable, no matter which position you lie. My reason for restless legs was my pregnancy. My body was changing, my hormones had changed, my centre of gravity had changed, and I too was seeing an osteopath to support this time in my life. But I needed more! Herein comes my husband! We are a ‘natural remedies’ kind of family and have all sorts of supplements in our cupboard. My husband was the one who recommended I try MagnesiumOil Spray. I can not believe my pregnant brain completely overlooked the obvious! Calcium and magnesium products are something I have recommended a thousand times to various patients, and they have always reported back with a positive difference in their symptoms, but now I was the patient, and I completely missed the basics! This time around when my legs decided to randomly dance out of tune I reached straight for the Magnesium Oil Spray, rubbed it into the soles of my feet and back of my legs. I only need about two sprays on each leg, not a lot, but the difference was huge! Many of my pregnant friends and patients have all reported similar results. I appreciate this is not a conclusive evidence based study, but when your collective groups are reporting the same thing it reinforces the value and power of the product in your hand! Also, note my husband recommended this product. He was not pregnant! He was and still does use this spray for sleep and muscle relaxation. One of my patients used it for post sports/ post workout recovery and now it stays in their gym bag. Another tried it for their achy legs, especially whilst on holiday. Some of my patients prefer taking magnesium orally to help ease cramps. I am so impressed with this product, I had to share it in a blog. After 4 years of use, the product and brand have a permanent place in our home, and I have decided to stock it in my clinic! BetterYou Magnesium Oil will soon be available for purchase. If you would like to try this spray for yourself then let’s talk about it in our next consultation and try a sample for yourself. UPDATE – I birthed my baby at home, on my feet in a squat position. The post muscle pain was agonising! my husband rubbed the MagnesiumOil spray into my fatigued muscles and the relief was enormous. I still needed post part care but it helped to have something at home that gave me relief. I really am a fan!